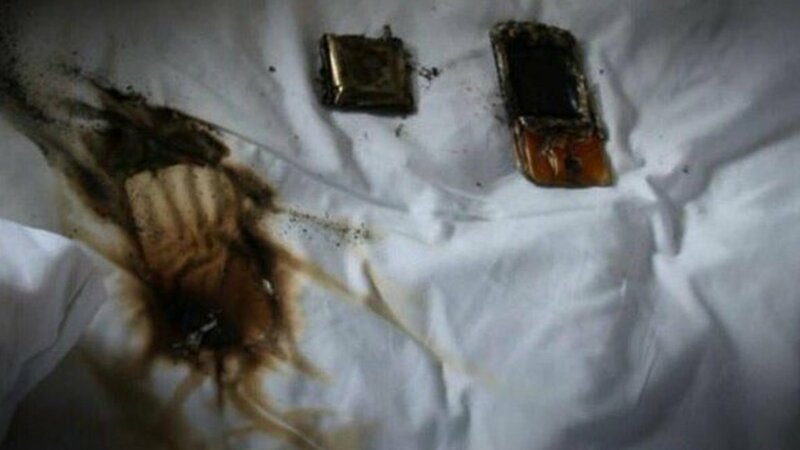 NEW YORK -- You may want to rethink using your cell phone in bed! New photos posted to social media by the NYPD's 33rd Precinct in Washington Heights show the aftermath of a cell phone overheating and catching fire. The phone was apparently under someone's pillow while they were asleep. It is unclear where and when the incident happened.